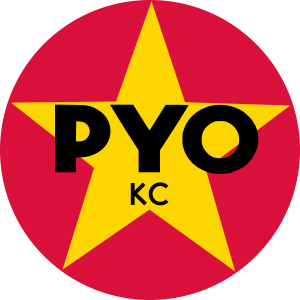 All Out For May Day 2016 In KC! 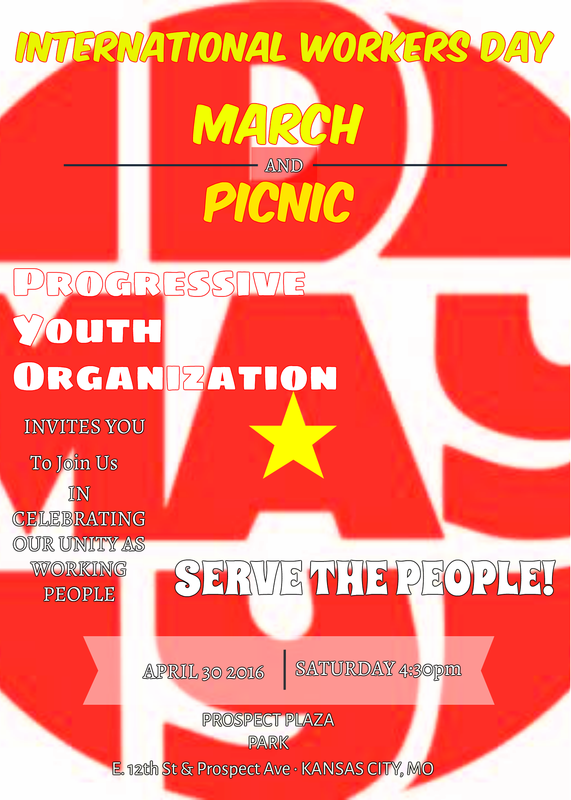 COME JOIN PROGRESSIVE YOUTH ORGANIZATION ON THE 30TH OF APRIL FOR A MARCH IN THE NORTHEAST IN COMMEMORATION OF INTERNATIONAL WORKERS DAY #MAYDAYKC. WE WILL START AT 4:30 PM AT PROSPECT PLAZA PARK (E.12 & PROSPECT AVE) AND CONCLUDE WITH A PICNIC IN THE PARK. ALL ARE INVITED! ¡ACOMPAÑA A LA ORGANIZACIÓN PROGRESISTA DE LA JUVENTUD EN EL 30 DE ABRIL PARA UNA MARCHA EN EL NORTHEAST PARA CONMEMORAR EL DÍA INTERNACIONAL DEL TRABAJADOR! EMPEZAMOS A LAS 4:30 EN PROSPECT PLAZA PARK (E.12TH & PROSPECT AVE) Y CONCLUIMOS CON UNA CENA EN EL PARQUE. ¡TODOS ESTÁN INVITADOS!